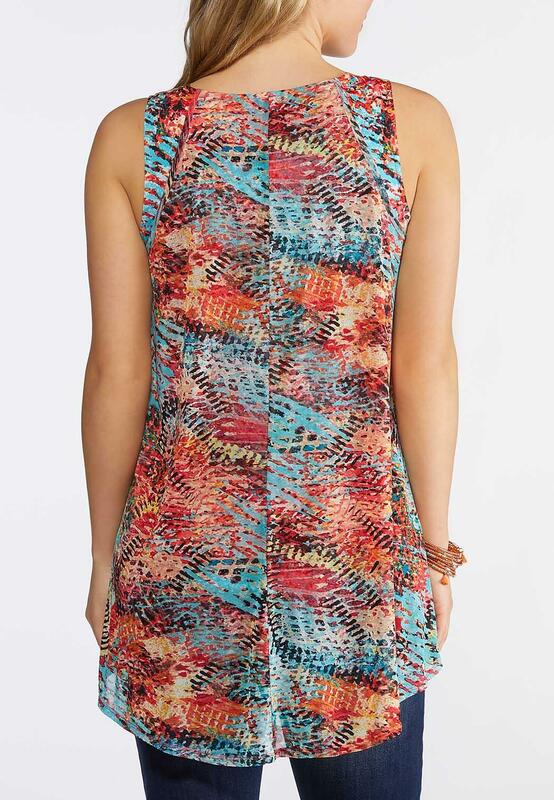 Look amazing in this lightweight top, featuring a delicate mesh overlay, crossover hem and a summer-ready colorful print. I really like the way this top fits. It doesnt cling, nice and long in the back. Beautiful colors...picture doesnt do it justice!